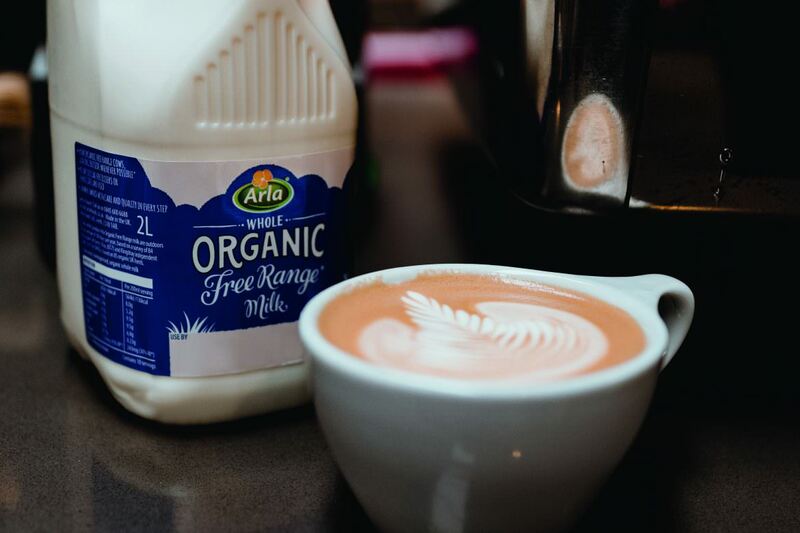 Research undertaken by foodservice business Arla Pro during UK Coffee Week has revealed that the introduction of lactose free dairy products could unlock an untapped source of income for coffee operators. A survey of self-diagnosed and medically diagnosed lactose intolerant adults in the UK revealed that 81% of respondents would purchase hot drinks from coffee shops on average 20 times more each month if they offered a wider choice of lactose free options. The menu options on offer also affect loyalty, with almost eight in 10 people saying they would be more loyal to a specific coffee shop if it were to offer a lactose free dairy option, such as Arla Lactofree. This increases to 84% for under 35s and 91% for those aged 35-44. Catriona Mantle, Channel Manager at Arla Pro comments, “In the last three years, UK sales of lactose free products at Arla have grown by over 60% shows a change in consumer expectations. With 8% of the population having trouble digesting lactose, and many more choosing lactose free dairy out of choice the out of home market opportunity is substantial. The data highlights the importance of milk in coffee. Respondents said that the milk or milk alternative in their coffee was important to the taste (96%), texture (91%) and appearance (82%) of their drinks. Almost 60% admit they drink their coffee black out of necessity, not preference. The data also showed that plant-based milk alternatives don’t always satisfy lactose intolerant coffee drinkers, with more than three in ten saying they consume these out of necessity, not choice. Ollie Sears, Specialty Coffee Association (SCA) qualified barista and trainer at Leeds based North Star Coffee Roasters adds: ‘Ultimately most coffees sold in the UK – flat whites, lattes, cappuccinos – are predominantly composed of milk, so the importance of milk as a key ingredient cannot be underestimated. There is absolutely an increased demand for lactose free options, and the challenge then lies in sourcing products with a similar taste profile to milk that reacts well to the coffee making process. Arla Pro is one of the headline sponsors for UK Coffee Week, a week long annual charitable fundraising event bringing together the nation’s coffee retailers and coffee lovers to support the international communities which grow the nation’s coffee. All funds raised during this week go directly to Project Waterfall, an initiative established by the Allegra Foundation to bring clean water and sanitation to coffee growing communities around the world.